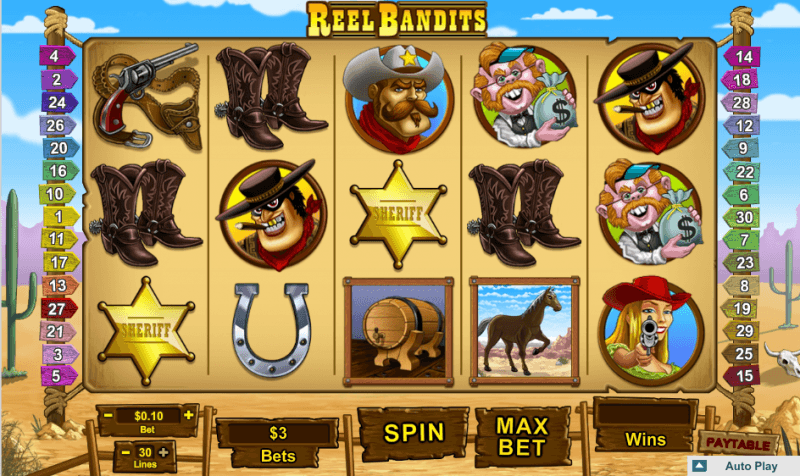 This video slot has no free spins to enjoy, but you will find plenty of wild opportunities that make up for this. Watch for the five monkey symbols, you’ll have a setup for a big payday! Have you ever wanted to go back to a simpler time where resting on the water was a rite of passage? Sometimes we would love to go back to these simple days, but it’s not meant to be. 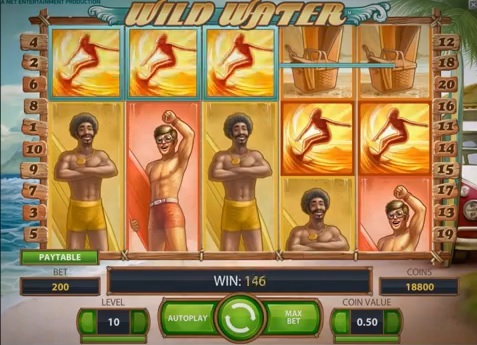 What you can do instead of dreaming is play Wild Water for real money, and check out these cool features. One thing that we have to let you know about is that all of the symbols that count are automatically stacked. This means that they can spread out to more than one space. The whole symbol has to spread across at least three columns in order for it to be a win. The theme is all about surfer culture, ripped straight from the 60s. You even have plenty of free spins with this game, but they’re all triggered by the Scatter symbol. This is a surfer that rides a beautiful surfboard made from pure gold, set against a mighty wave. If you get three of these “golden surfers” to appear, you get fifteen free spins. But if you get four, you get 30 free spins. If you max out with five, then you get a wild sixty spins. These can be triggered over and over again, which gives you the chance to take home some big wins. This is a gorgeous high-visual slot that is available not just on PCs, but on mobile interfaces as well. 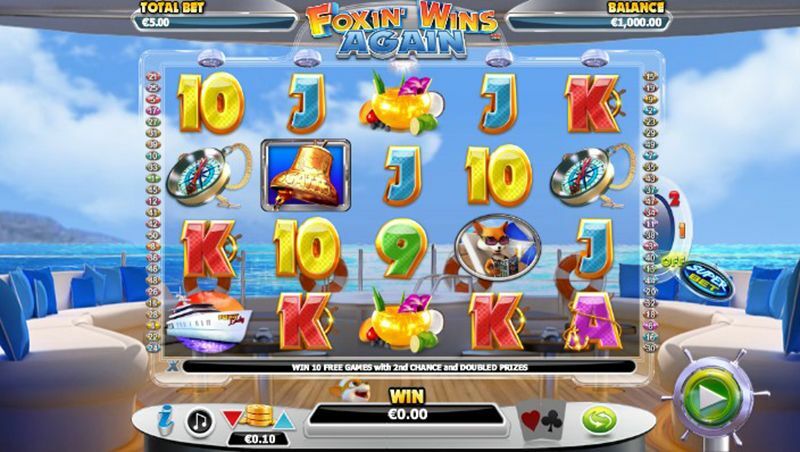 If you have not played the original Foxin’ Wins slot, you’re in for a real treat. See, here are the basics: Foxin is rich. Loaded. And he has a luxury boat that serves as a great backdrop to tons of fun. Foxin has grown up and has children now but they’re part of the game, happy to help you make some money. 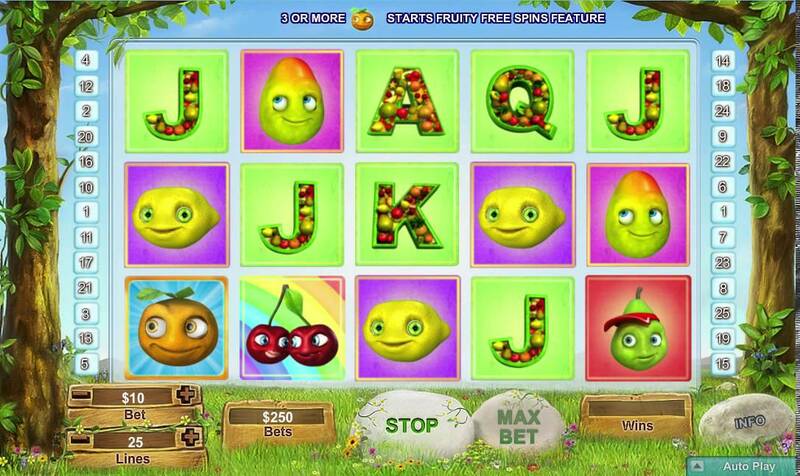 All of the fox pups turn symbols wild, and you can win free spins and even have prizes doubled. Look out for the Foxy Lady liner symbol, because getting five of them gives you a 1000 times your stake. But that’s not even the best prize: look for five of the Bell symbols, because if you get all five you can win 5,000 times your stake! If you play no other game on our list, this one should be the first one you try out. Overall, we think that we covered a wide range of games that you should really enjoy. Just one of these can not only put money in your pocket, but keep you entertained for hours on end. Check it out today and see just how much you can win when you finally get to focus on your own fun! And if you do win big with any of these slot games, but sure that you let us know as soon as possible. 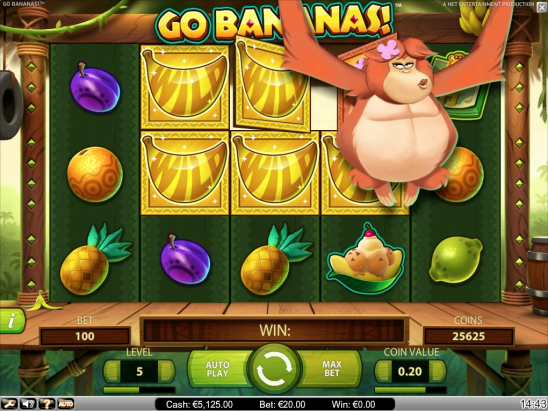 We never get tired of hearing about regular people making real money from a love of online slot games!